Ranunculus lingua. 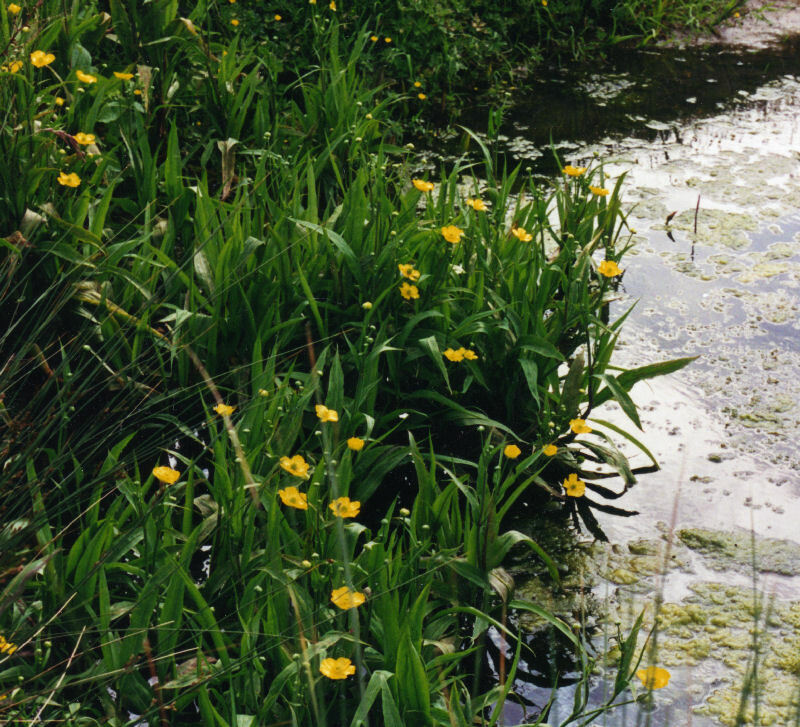 Flowers like big buttercups and sword-shaped leaves, grows in the water margins. Chris Baines' wildlife gardening book (see books section) says it can be invasive - but it never has been in my big pond, where the margins tend to dry up a bit in summer - maybe different plants are more controlled (and less) in different types of pond environment.